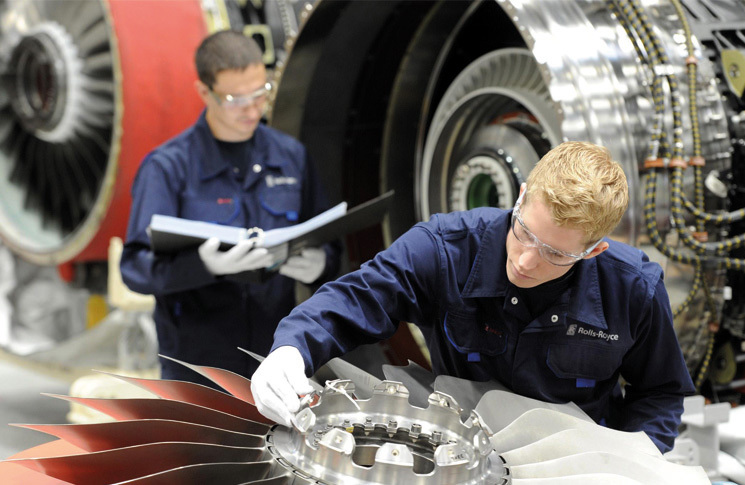 Licensed aircraft maintenance engineers (LAMEs) and pilots have a symbiotic relationship: as Frank Sinatra once sang, ‘you can’t have one without the other’. But, as in many other close relationships, there can be mutual misunderstanding. Better communication is needed. So what do LAMEs wish pilots knew? Flight Safety Australia contributor Paul M Southwick spoke to experienced LAMEs in Australia, New Zealand and the USA. There are few occupations as busy, in demand, or under pressure as LAMEs, many of whom are on call 24/7/365 and required to travel long distances at short notice to repair or get back to base aircraft that have ‘broken down’ for known or unknown reasons. Mark Howe, LAME and owner of Blue Demon Aviation at Moorabbin supports fire-fighting aircraft. His day nominally starts at 7.30 am but calls at 4 am are common. LAMEs can never be sure where their day can take them or when they might get back home. Personal sacrifices can be high. CASA has a guide on its website which makes it clear this is a career for women and men with many options for employment, civilian or military. A student pilot or owner may have in their mind an aircraft with its unique airframe, engine and avionics. LAMEs are expected to service the full range of aircraft, from balloons to microlights, gliders, light aircraft, helicopters, twins, jets, airliners and warbirds. Another consideration is age and sophistication. Compare the basic instrument, cloth-covered Tiger Moth, and a moving-map, glass cockpit, auto-everything, composite Cirrus with parachute system. The work environment might be a dry hangar, exposed to the 40-plus degree heat of the outback, or below-zero snow. ‘Continually pressuring the mechanic can have the opposite effect,’ says Chris Miller, one of the most well respected A&P mechanics in the US who started Security Aviation at Hawthorne Airport in Los Angeles in 1983. This is not due to spite or laziness, but because, ‘The majority of work must be done carefully, meticulously, and without pressure to ensure that no mistakes are made, or problems missed. It’s all about safety,’ says Miller. ‘Repairs are expensive and there is a difference in the way owners versus renters look after aircraft. With modern electronics, owners have the tools to look after their investment. Monitoring software makes them more aware of how the engine is performing,’ says Miller. Miller adds that the care taken can be related to the individual personality traits of pilots, not just experience. That’s LAME’s code for the wisdom of pilots developing good habits. ‘The variation could be within normal ranges but different due to, for example, outside air temperature being 20 or 30 degrees different to the last time they flew,’ says Ryan. LAMEs want pilots to monitor and be specific about gauge readings. Knowing what to do when a magneto displays a more than permitted drop is rare. ‘Rather than run the aircraft up on the fouled plug they go back to both mags, then bring the engine back hot and it takes much longer to detect and fix, rather than being simple and inexpensive,’ says Ryan. Many pilots do not know the correct process for starting an injected Lycoming engine. ‘Starting a flooded engine is also not well understood,’ says Ryan. As a result of not knowing these basic procedures Ryan says Aerotech sees a lot of burnt out starter motors. He sees this as an area LAMEs would like pilots to receive better training on because aircraft manuals don’t cover this topic well. ‘Don’t accept rough running or bad performance as normal. This belief is held because some pilots only ever fly one aircraft,’ say Ryan. A pilot flying Ryan’s Cessna 172 recently found it smooth and without significant wing drop on stall. He thought rough running and major wing drops were normal, as he had no other reference. LAMEs are keen for all pilots to be taught the lost art of safely hand swinging a propeller. ‘This is particularly useful for pilots who own their own aircraft. Pilots think it is difficult and dangerous, but it is not, if proper procedures are followed,’ says Ryan. A common safety issue Miller observes are pilots turning propellers in the direction of normal travel, for no apparent reason: to inspect the air filter or attach a towbar. ‘I do not recommend this habit, for any reason, as it is too easy for the engine to start. If I have to move a propeller, I move it backwards, having done this my entire career and have never damaged an engine,’ says Miller. CASA has a good video on its website on this topic. The other thing LAMEs want pilots to do properly, or not do it at all, is pushing on the structure of the aeroplane. ‘At 100 hourly checks we often find damage to the tail end of Cessna 152s where pilots have sat on the wrong area. This is both a safety risk and expensive damage to fix,’ says Ryan. ‘If done properly by applying force in the correct places, where the aircraft has structural strength, this is not a problem, but does require experience and understanding,’ says Miller. ‘I see a lot of handbrake cables pulled out due to pilots yanking on the handbrake and forgetting to apply gentle pressure on the pedals,’ says Ryan. LAMEs are often asked to assist with dipsticks that have been over tightened. They emphasise that most manuals say finger tight is all that’s required. General advice from LAMEs for pilots includes: paying attention to aircraft systems training, treating the aircraft like you own it, and chatting with LAMEs about the right way to do things. These things will keep you safer. Upon my honour, I swear that I shall hold on sacred trust the rights and privileges conferred upon me as a qualified aircraft maintenance engineer/technician. Knowing well that the safety and lives of others are dependent upon my skill and judgement, I shall never knowingly subject others to risks which I would not be willing to assume for myself, or for those dear to me. In discharging this trust, I pledge myself never to undertake work or approve work which I feel to be beyond the limits of my knowledge, nor shall I allow any non-qualified superior to persuade me to approve aircraft or equipment as airworthy against my better judgement, nor shall I permit my judgement to be influenced by money or any other personal gain, nor shall I pass as airworthy aircraft or equipment about which I am in doubt either as a result of direct inspection or uncertainty regarding the ability of others who worked on it to accomplish their work satisfactorily. Mike Busch, and American writer on all things aeronautically mechanical accurately describes invasive “repairs and inspections” as “attacks” by the mechanical (LAME) on the aircraft. Given that about 20% of US aircraft accidents have a mechanical failure as the ‘defining even’ described by the US National Transportation Safety Board (NTSB), and that about half of those accidents are the direct result of “wrong parts”, “incorrect assembly”, or “incorrect maintenance” it behooves pilots and aircraft owners to view every visit to the shop with great suspicion and caution. EVERY post flight maintenance flight, even for a minor oil change, should be viewed as a test flight, and the first several hours after maintenance should be flown with a very healthy dose of caution. Two years ago I experienced a catastrophic engine failure 10.0 hobbs hours (exactly!) after a 100 hour inspection where metal was detected in the oil filter. Unfortunately, the maintenance officer didn’t think it significant to mention it to me, and the maintenance logs were not available in the hangar. “TRUST” is probably the best way to describe the relationship between pilots, owners, and maintenance personnel. A maintenance oversight means the LAME goes home with a heavy heart (maybe). It may mean the pilot/crew and passengers go to the morgue.